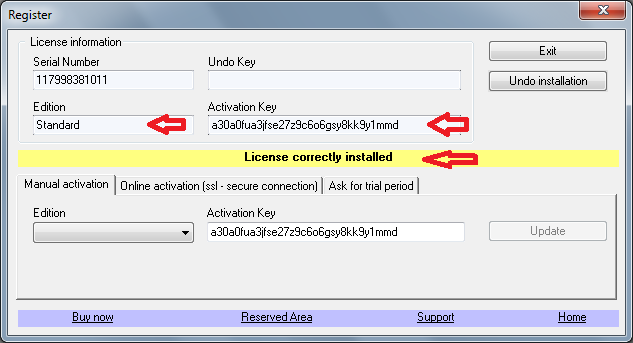 The activation of the Standard or the Professional edition is needed only for the Single Workstation License. This is the most frequently used option. The PC where you wish to install Project Reader must have an active Internet connection. 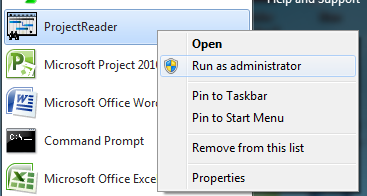 1) Launch Project Reader evaluation edition using the option Run as administrator. 2) from the menu ? choose the option Register. 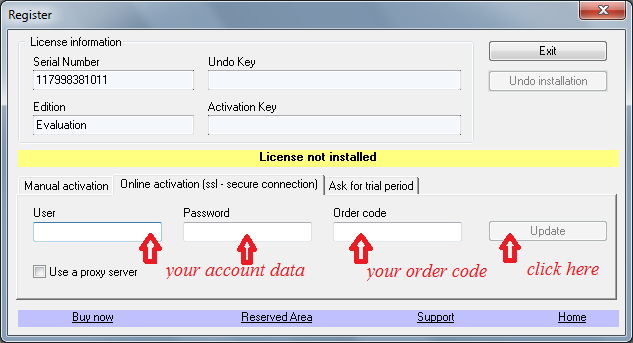 3) from the panel which is opened, choose Online Activation and put the user's name, password and order code you have. Click on Update. Use this option only if on the PC where you wish to install Project Reader the Internet connection IS NOT available. 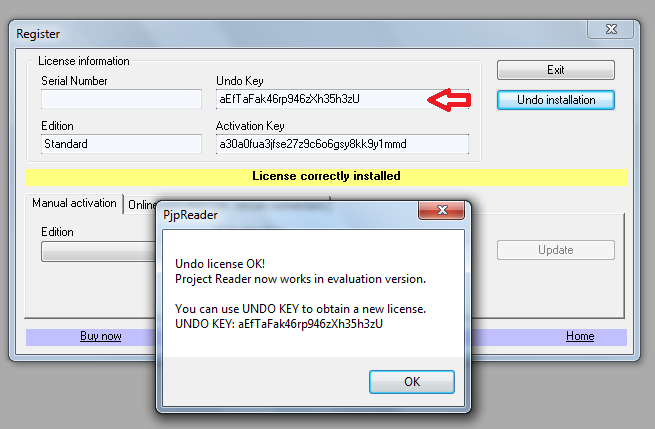 1) Launch Project Reader evaluation edition and open the Register panel (see screenshot above: Online Activation). Now you can select the Serial Number. 2) Now use a pc that has internet connection. Sign in Project Reader site using the user's name and the password you have. 3) Now you should redirect on the Activation Keys - Orders section. 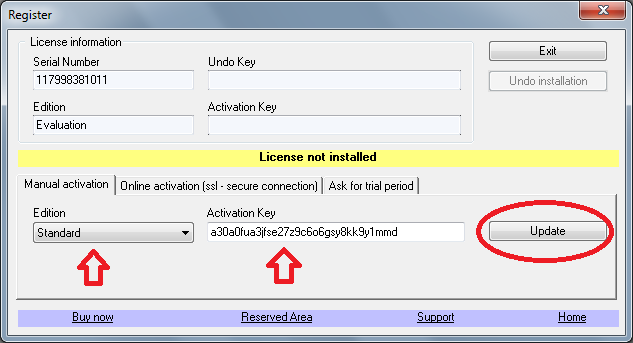 See the image below, you have to fill the serial number text-box and click on the Activation Key button. Optionally you can fill the user IP Address and user Name for this serial number. After the click on the button, you can have the activation key. You will receive an email with the same data. 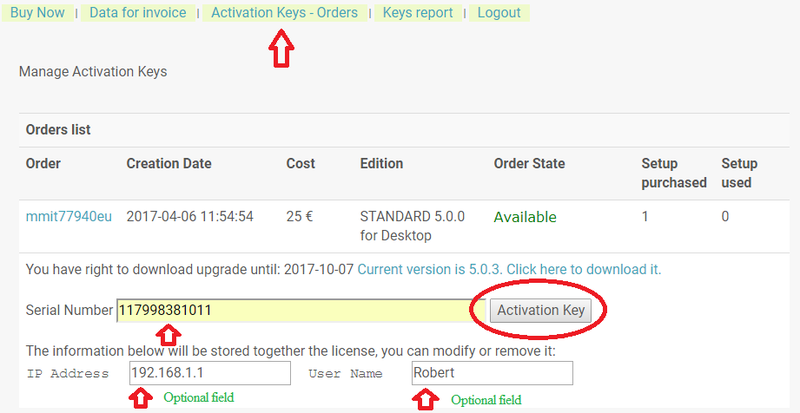 4) Now you have to copy the activation key into the Register panel of Project Reader, choose the edition and click on the Update button. Project Reader has been activated, now you can close the register panel and open your Microsoft Project files. 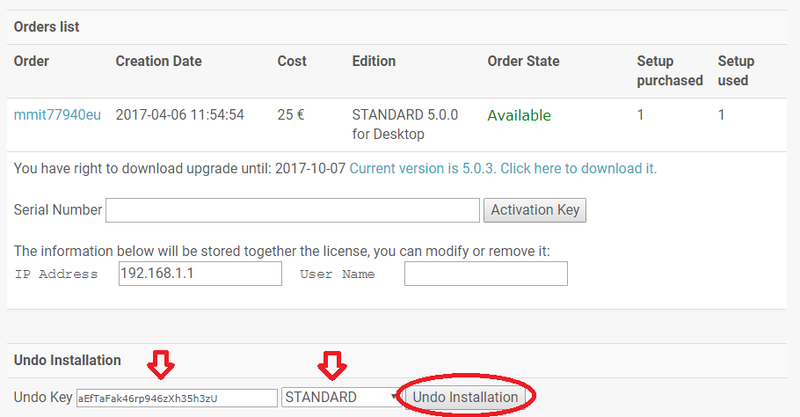 This option can be usefull if you whish to change the PC where Project Reader has been activated and it is currently working. If your PC crashed, in order to remove a license key from your account you have to contact us.